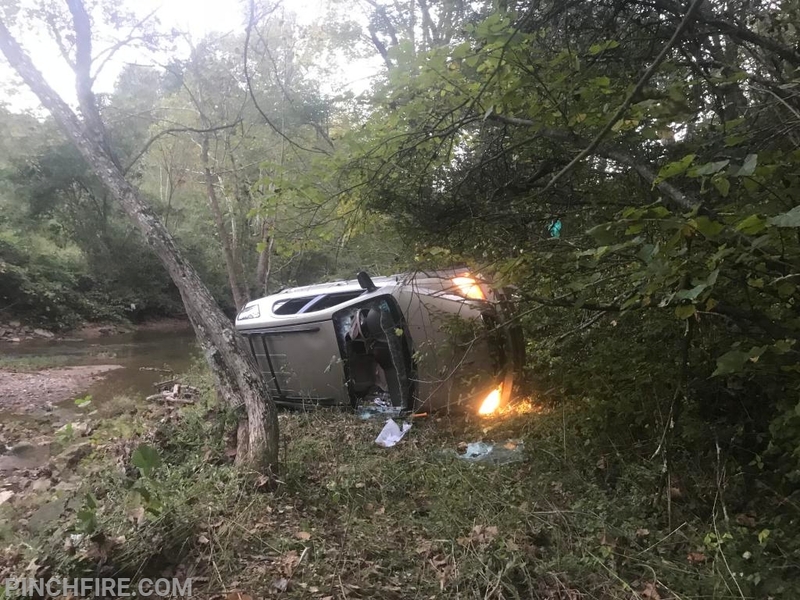 Late Monday October 8, 2018 at approximately 1800 hrs metro 911 was notified of a vechle rollover on little sandy rd. In Elkview WV. Engines 23, 21 & utility 29 responded. On arrival it was determined that one of the two passengers was partially trapped under the vechile after it rolled approx 50’ over the hill. Members quickly moved to lift the van off of the patient, using high pressure air bags. Once lifted the patient was able to self extricate. Both patients were transported to CAMC General Division for evaluation.